Attached is one way to do this. 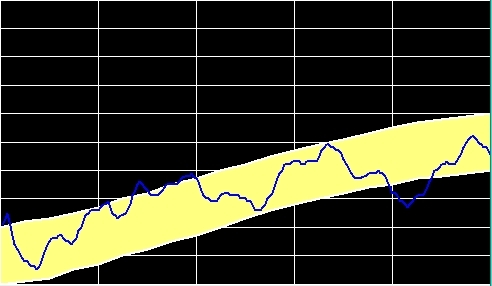 The trick is to break it into two analysis and use the color filter to focus either on the blue line or the yellow band using the Marker module to switch back. 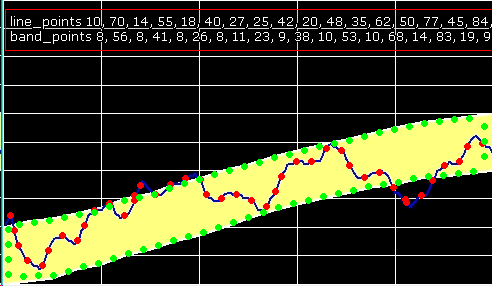 Note, the blue line is not completely solid so a bit of processing is needed to ensure that it is completely connected. This involves skeletonizing the line and then connecting any broken parts. Without this the final line sample would not be continuous.